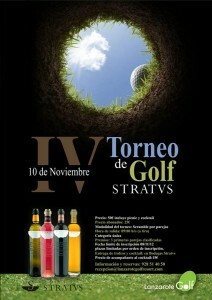 Lanzarote Golf and Bodega Stratvs, are celebrasting the 4th edition of the Bodegas Stratvs Golf tournament 2012. It will take place on saturday 10 th of November 2012 in Puerto del Carmen at the Lanzarote Golf. 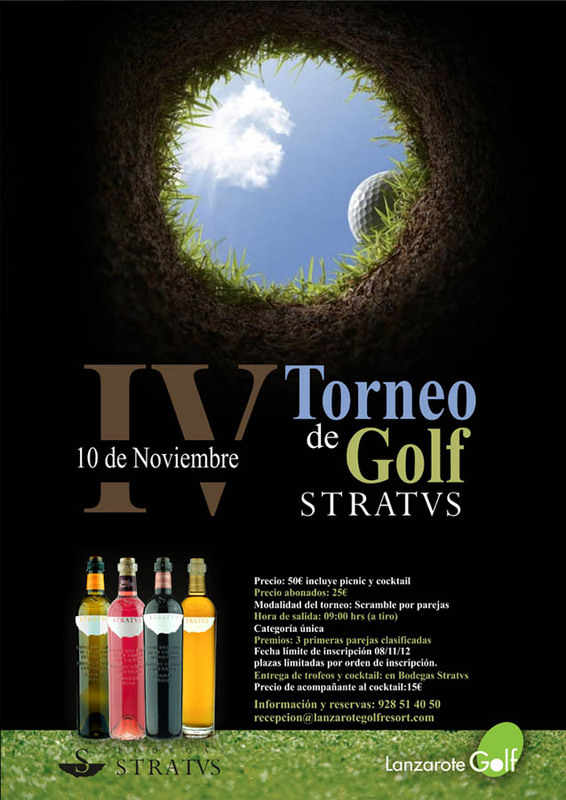 Once the day is finished, all participants will join the awards ceremony at Bodegas Stratvs, where a delicious cocktail will be served. It consists in teams of 2,3 or 4 players. Each player starts with its own ball. Following balls will be played from the most convenient point. From this point on all players start again until the last hole. If the ball is placed in Calle or bunker (recreating the intitial ball), all players take the next ball in a distance of one card, while not getting close to the hole, where the original ball has been placed. In the event that the ball went to a Rough or water hazard, this ball will be played first. All following balls will be placed nearest the initial point without disturbing other players at the same position. In the event that the ball is on the Green all next balls will be placed nearest as possible to the original point. Each player plays its own balls. The player mentioned first on the list is considered the team captain. His opinion regarding balls or any other question is the only valid. For a team of 4 players 10% of the total sum of all the handicaps of all players. For a team of 3 15%. For a team of 2 30%. However the team can not play with a superior handicap than the single handicap of one of its players. Except that the rules mentioned other specifications. 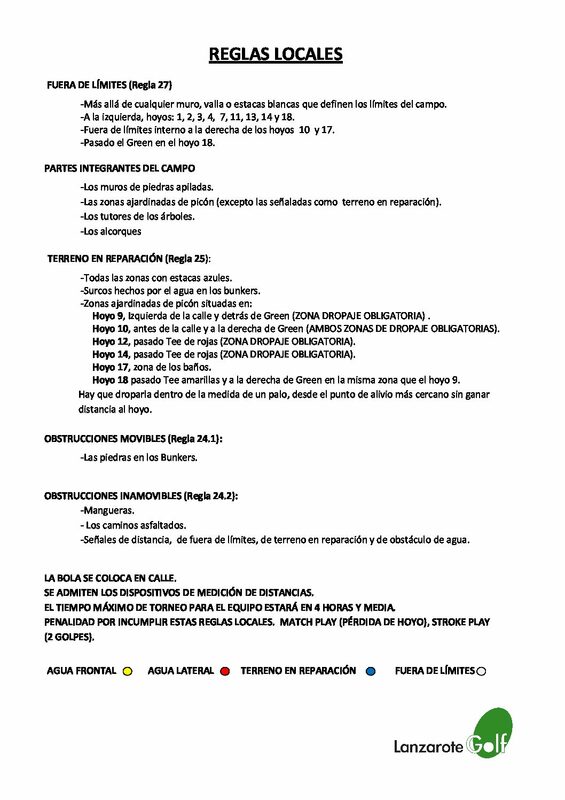 Note:Chapter II , 16 and 17 Green book of the Real Spanish Golf Federation.